I did manage to get a bunch of woodworking done over the long weekend but had to stop for a little emergency room visit. 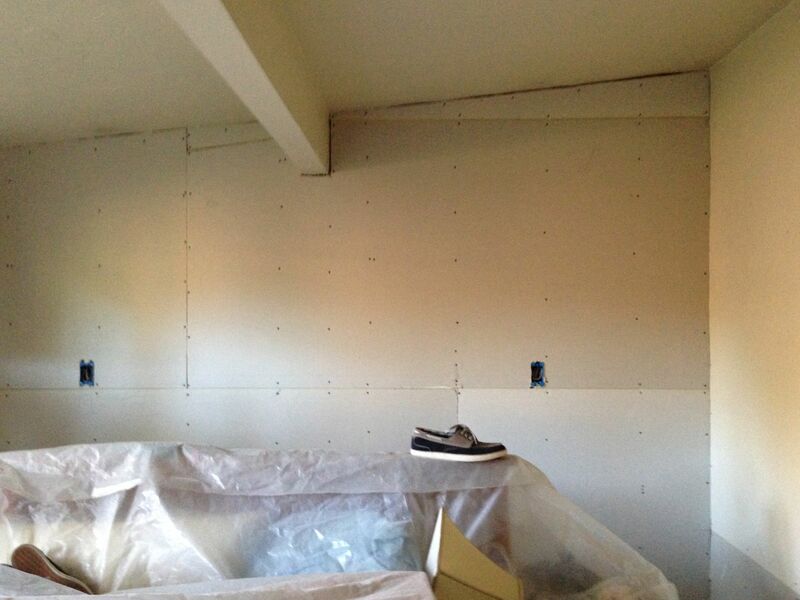 The really great thing that’s going on right now is that my contractor is on the job installing the drywall and now I’ve got real walls in the house again. 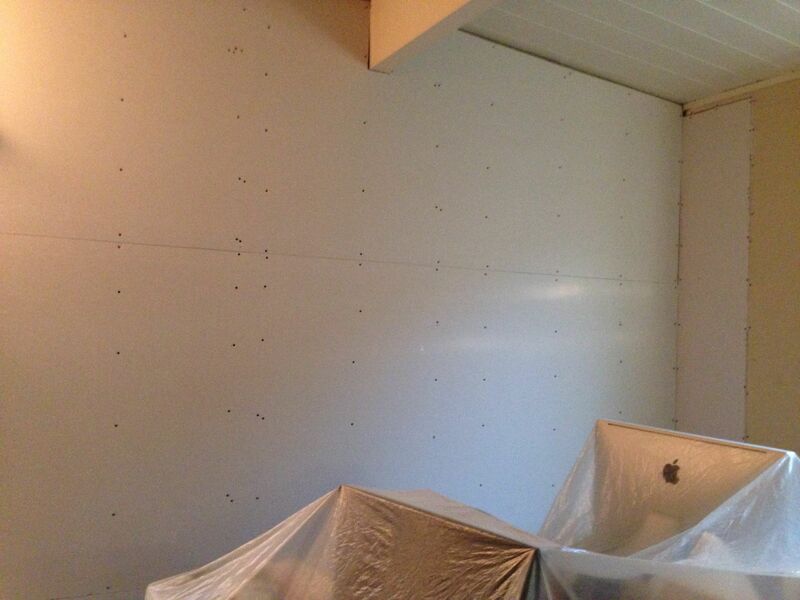 So instead of woodworking pictures here’s my new drywall. Feels good to start putting the house back together. 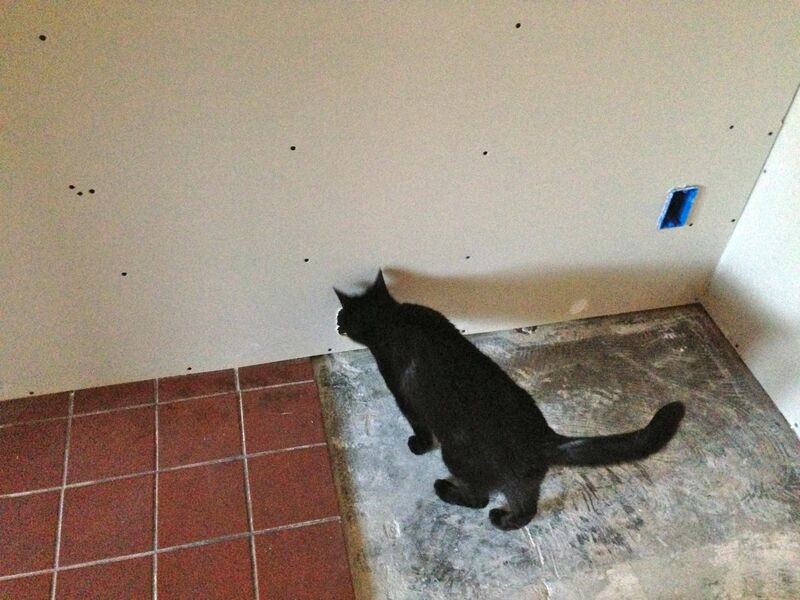 Spirit kitty is doing her own inspection of the work. The sink area in the kitchen. The broom belongs to the contractor. Tomorrow, I am hoping they actually use it to clean up the house. 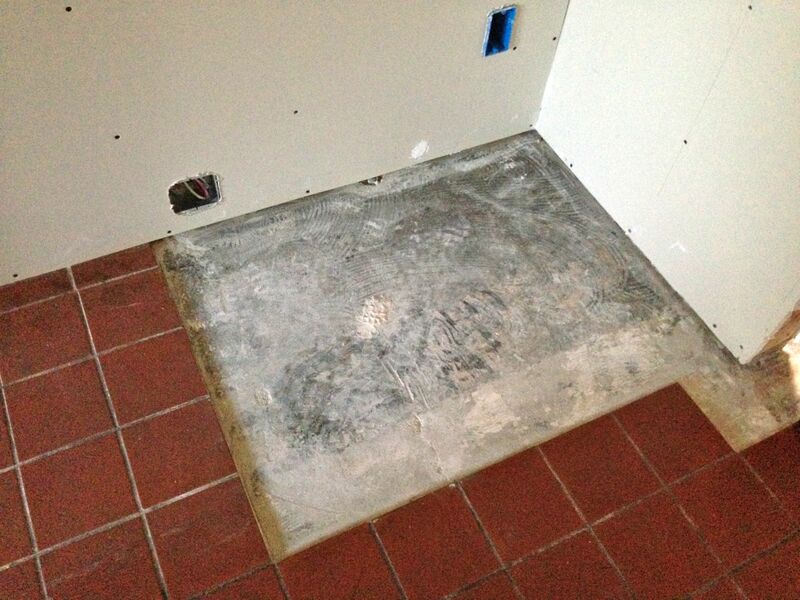 The floor wanted in on the action so we’re getting ready for some new tiles. The living room wall. 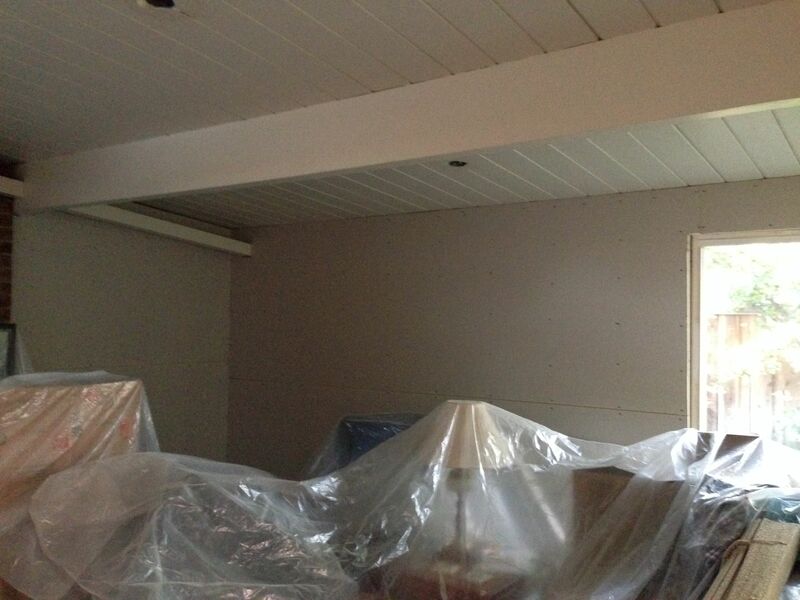 I am thinking of just keeping the plastic covers. The new office wall. The computer just lives there. The bedroom wall. The shoe was an artistic addition to the photo. Oh, the ER visit? Well, I had a little problem with the table saw – my left thumb touched the blade during a cross-cut with my crosscut sled. Good thing I was using the sled because the damage would have been much worse with out it. As it was I just ended up with a nasty cut, a painful thumb and a small co-pay to have the ER doc check it out and dress it for me. I got very lucky – no stitches and I still have a thumb. The doctor didn’t think she could do much for my wounded pride or damaged ego. Although she did agree that it was a stupid accident. Now she didn’t call me stupid – she just agreed with me that I did a stupid thing. and yes, I still feel stupid, very stupid. I know better. Honest – I use to teach electronic shop safety, including power tool safety. I use to yell at my crew for not wearing safety glasses and stuff. and Heather’s already scheduled the long safety lecture with me so you don’t need to worry about that. Sadly, I’ll be out of the shop for a little – doc says I need a couple of weeks for the thumb to heal. If you need me – I’ll be on the sofa watching old movies feeling stupid and nursing my wounded pride. 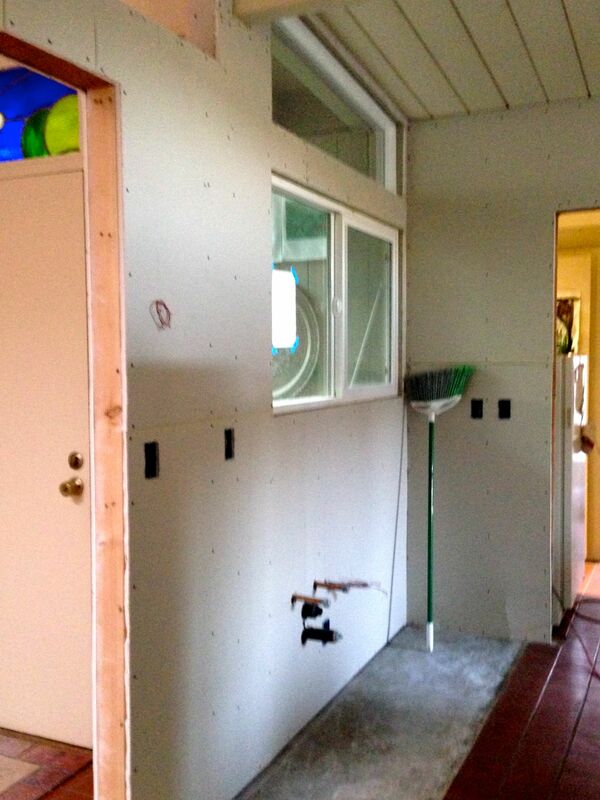 This entry was posted in woodworking and tagged remodeling, woodworking. Bookmark the permalink. 3 Responses to Wednesday Woodworking, sort of. You’ll get those pictures tonight – the crew is setting up to do that today. Of course it was stupid; that’s the meaning of the word “accident:” something that wasn’t supposed to happen but did. Now we know you are a true carpenter! To qualify for this distinction you must have at least one scar to prove you work with your hands and manage large, dangerous machinery.